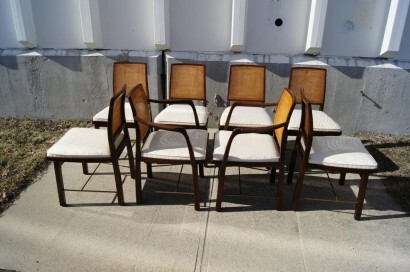 Edward Wormley designed this set of dining chairs, six side and two armchairs (model numbers 5606 & 5607), for Dunbar’s Janus line. 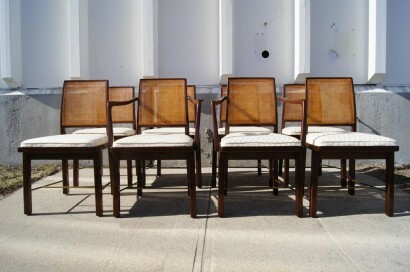 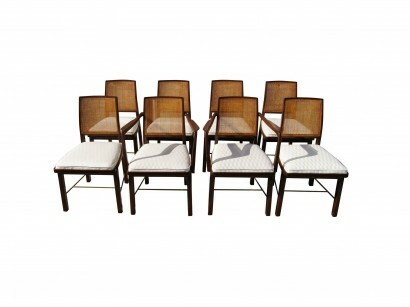 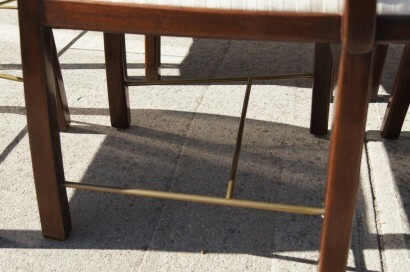 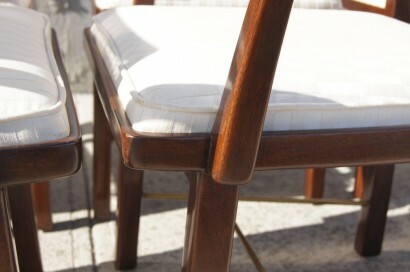 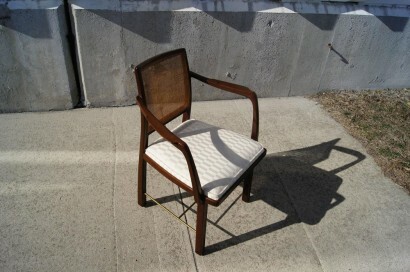 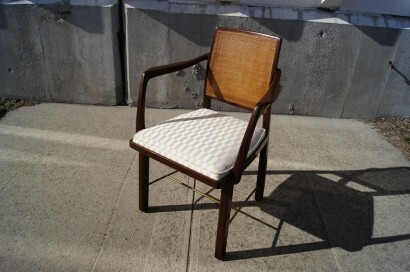 The sculpted mahogany chairs feature square caned backs and brass H-stretchers. 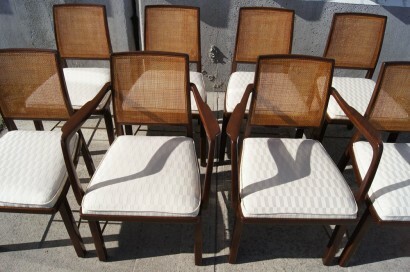 The height of the arms on the two chairs is 26.25″.